Samuel Phua is a recipient of the National Arts Council Arts Scholarship (undergraduate) 2017 and is studying in the Sibelius Academy with Joonatan Rautiola. He graduated from the School Of The Arts, Singapore with the International Baccalaureate Career-related Programme. There, he studied classical music under Leslie Wong and jazz under Fabian Lim. As a soloist, Samuel has performed with several of Singapore’s top orchestras and bands. He has performed with the Singapore Symphony Orchestra, Singapore Wind Symphony, Braddell Heights Symphony Orchestra, The Philharmonic Winds and Orchestra of the Music Makers as a soloist. As a chamber musician, Samuel co-founded and plays the tenor saxophone in the Xin Saxophone Quartet. 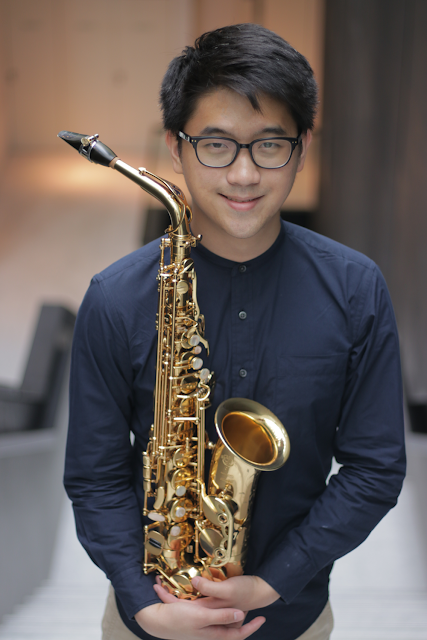 He is also a regular performer for the annual Singapore Saxophone Symposium since it’s inception in 2011. He was also featured in the television documentary 'Under 18' shown on local channel, OKTO.